A year or so ago, I published an article in which I asked questions about the oft-told story of the discovery of the Nag Hammadi codices in1945 ("How reliable is the story of the Nag Hammadi discovery? ", Journal for the Study of the New Testament 35/4 (2013): 303-22). It emerged from some thoughts and ruminations here on the NT Blog. One of the elements that is intriguing about the repetition of the story in the scholarship is that it continues to morph and change, ever accreting and losing details, with characters appearing and disappearing, the jar growing every larger, and a corpse mysteriously vanishing. Mohammad Ali's account led the investigators to the edge of the Nile Valley, to the cliffs that separate the fertile land from the desert. And it's here that the story began. Mohammad and his brothers were out looking for fertilizer. They made an amazing discovery. Underneath a boulder, they found a sealed clay pot. Now, the other guys, they didn't want to touch it because they were afraid there might be a genie inside. But Mohammad was more interested in money, so he picks up a rock, smashes the thing. You can imagine his surprise when he saw what was really inside. He found the manuscripts that would become the famous thirteen Nag Hammadi codices. Shortly before he and his brothers avenged their father’s murder in a blood feud, they had saddled their camels and gone out to the Jabal to dig for sabakh, a soft soil they used to fertilize their crops. 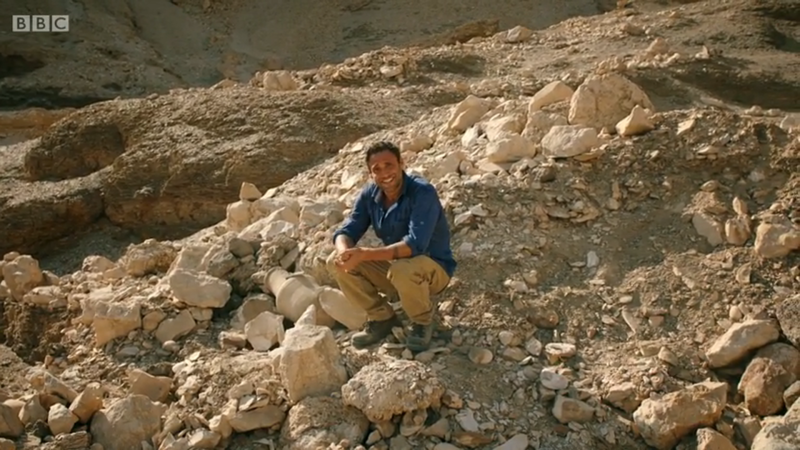 Digging around a massive boulder, they hit a red earthenware jar, almost a meter high. Muhammad ‘Ali hesitated to break the jar, considering that a jinn, or spirit, might live inside. But realizing that it might also contain gold, he raised his mattock, smashed the jar, and discovered inside thirteen papyrus books, bound in leather. Returning to his home in al-Qasr, Muhammad ‘Ali dumped the books and loose papyrus leaves on the straw piled on the ground next to the oven. Muhammad’s mother, ‘Umm-Ahmad, admits that she burned much of the papyrus in the oven along with the straw she used to kindle the fire. One of the delightful things about these different versions of the Nag Hammadi find story is that they provide us with a nice contemporary analogy concerning the transmission of tradition. As with the Synoptics, there are demonstrable literary links, as when Werner Kelber quotes one of James Robinson's versions. There are variant versions by the same author, so that Robinson has three different versions of the story just as Luke has three different versions of the conversion of Paul. There are oral retellings of the written tales, as when Pagels tells the story in TV documentaries from 1987 and 1999, and here, when Jeff Rose tells the story, presumably from memory, of what he has previously read. NT Pod 71: Was the ending of Mark's Gospel lost? If anyone knows of a better version, please let me know. 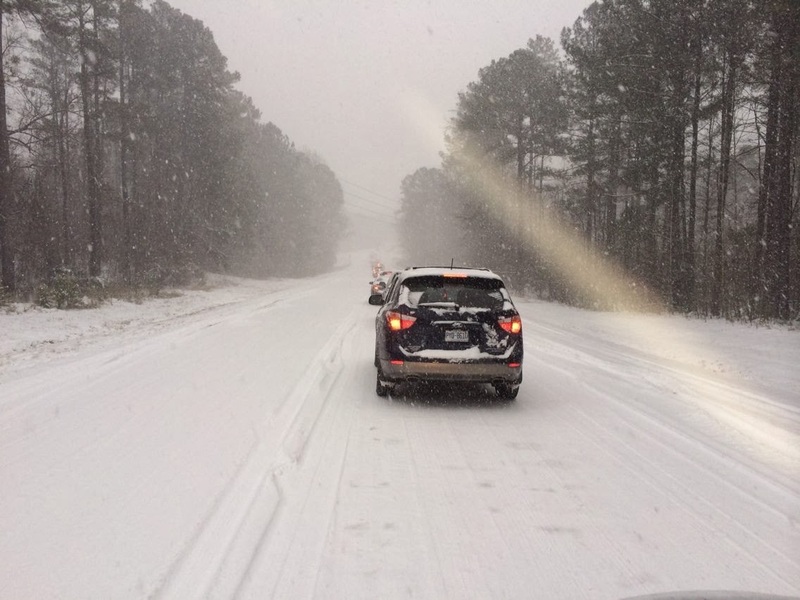 I commented here the other day (Snow and Podcasts) on the latest episodes of the NT Pod, which is finally back after a hiatus of several months. I have released a couple more episodes since then (NT Pod 69 and NT Pod 70), also both on the discussion about historical Jesus criteria. Or, if it is easier, I have them together under one label: Historical Jesus Criteria. I'm a bit bored with the discussion about criteria now, so I'll leave it for a while, perhaps until I teach Historical Jesus again next year. Episode 71 will be about something different. I have a couple of ideas and I'll make my mind up over the next day or so. I have been meaning to get back to the podcast for a long time and finally, this week, it happened. First, I recorded a new episode, NT Pod 67, on John's Gospel and the Historical Jesus. 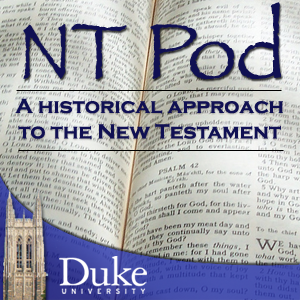 I've been teaching the Historical Jesus here at Duke this semester and the topics are often conducive to podcasting, and this one ran alongside one of my classes on materials for Jesus research (including Paul, the Synoptics, Thomas, John). Then yesterday, Duke cancelled afternoon classes because of the snow, and for the second time this semester, this affected my Historical Jesus class. Instead of just trying to re-jig the syllabus, I decided to use the occasion to record another podcast. NT Pod 68 asks "Where do we begin Historical Jesus Research?" The topic was less congenial to podcasting because I was planning, in class, to introduce several different approaches to the Historical Jesus, contrasting the starting points of E. P. Sanders, John Dominic Crossan and N. T. Wright. But I had a go anyway and recorded a kind of hybrid episode, going to twenty minutes rather than the usual 10-12 minutes. The second half of yesterday's class was going to begin looking at Historical Jesus criteria. This is something I began podcasting on last time I taught the course, in 2012 (see NT Pod 59: Historical Jesus Criteria, NT Pod 60: the Criterion of Embarrassment and NT Pod 61: the Criterion of Multiple Attestation). I am planning to continue this series now with an episode on the Criterion of Dissimilarity. I hope to have that episode online by this evening.